Changing your online persona can be a pretty traumatic experience. Your name becomes your “personal brand.” Once you change your username, especially on Twitter…you can lose a bit of your identity. 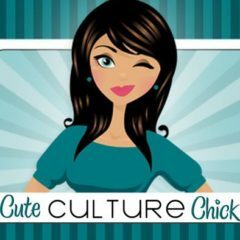 Do I love my name “cuteculturechick?” Well, it worked for my online dating profile in 2003, and it’s just stuck with me. If I’d been thinking clearly when I grabbed a Twitter account in 2008, I would have picked @nicolebullock. I have @_nicolebullock that I use occasionally (typically for LDS General Conference). But once you’ve established yourself online, and branded yourself…it’s just impossible to give up who you are. But in the meantime, Steph and I have AWESOME evil avatars. Thanks, Josh!